Mexico companies spent $51.5 billion in the United States between 2003 and 2013. By contrast, they spent just $3.8 billion in Canada. WINDSOR, Ont. — Despite building nearly four million vehicles in 2017, Mexico still needs Canada’s automotive expertise — badly — says the trade and investment commissioner of ProMexico. Rodrigo Contreras says parts makers are willing to partner with and invest in Canadian companies, particularly those in southwestern Ontario, to help them grow. Contreras said it would take Mexico years to build the tool-and-die and moldmaking infrastructure that anchors Ontario cities such as Windsor. “We need more companies from Mexico connected [in Canada]. We need a foot on the ground and risk put into Canada,” he said. Rene Friesen of Mexico-based parts supplier IZA D&M also sees a dearth of tool-and-die knowhow in Mexico. “To say there is some tool-and-die experience in Mexico is an overstatement,” he said. Contreras said when it comes to automotive investment, Mexico companies spent $51.5 billion in the United States between 2003 and 2013. By contrast, they spent just $3.8 billion in Canada. He wants that number to increase through either strategic partnerships or mergers and acquisitions of Canadian companies. Contreras said one Mexico company per month last year received a business permit in Canada. He wants that frequency to increase, but said his country hasn’t set a target. Just last year, Goss Global, a small Mexican auto supplier said it’s moving its global headquarters to London, Ont., and opening a $5-million manufacturing and research-and-development facility there to better serve the U.S. market. 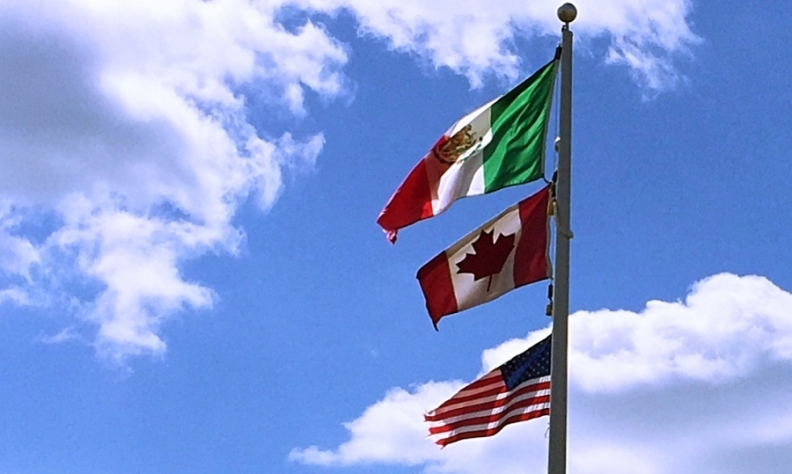 It’s so rare for a Mexican auto company to expand into Canada that Automotive Parts Manufacturers’ Association President Flavio Volpe said he had “never heard of such a thing” when Goss Global announced the move. Without revealing too many details, Contreras also said a Mexico-based military contractor is opening a facility near Waterloo, Ont., because the city is such a hotbed for autonomous vehicle research and development. Last week, U.S. President Donald Trump ordered the U.S. National Guard to patrol the country’s southern border. And U.S. Immigration and Customs Enforcement has been ferreting out illegal immigrants. Trump has also spent nearly two years saying Mexico will pay for a wall to built between the United States and Mexico. “Canada also has good relationships with other parts of the world, and you have great talent here,” Contreras said. Volpe thinks it’s a good idea for Canadian companies to work with and accept support from Mexico. For example, a Chinese consortium in Shanghai in late 2016 bought the Windsor-based Valiant Group, a global supplier of tooling and equipment for the vehicle manufacturing process. There is some concern from Mexico companies that Canada is too costly, but Friesen doesn’t see it that way.